It turns out, Passengers’ rather erratic marketing campaign is actually a good representation of what director Morten Tyldum delivers in the final film. If you’re wondering if the movie is a romantic dramedy or if it’s a deep space thriller, the answer is – it’s both. There’s nothing inherently wrong with that combination, but in the case of Passengers specifically, it winds up doing a major disservice to the film because one component works well while the other doesn’t fit at all. The movie stars Chris Pratt and Jennifer Lawrence as two passengers aboard a spaceship called the Avalon, which is making the 120-year journey to a new planet where people can have the opportunity to start anew. During that lengthy trip, all the passengers are supposed to be fast asleep in hibernation chambers. However, Pratt’s character, Jim, wakes up early – 90 years early. That means he’s in a position where he’ll have to remain awake on the ship, grow old and die completely alone. The horror of that scenario leads him to wake up another passenger, Lawrence’s character, Aurora. That right there is the heart of the movie. You’ve got two exceptionally talented actors with loads of charisma and chemistry in the lead roles, so their predicament is truly vexing. On the one hand, this glitch basically ruins Jim’s life and the thought of him living out his days alone on this ship is downright mortifying. He can’t fix the problem, but he can make things better by waking someone else up, dashing her dreams, expectations and essentially stealing her life from her in the process. It’s a fascinating and somewhat distressing situation to consider, and also leads to an interesting relationship dynamic between Jim and Aurora. Add in some strong production design and a wealth of curious story details about these deep space pilgrimages, and you’ve got more than enough material to develop a successful and highly unique romantic drama. 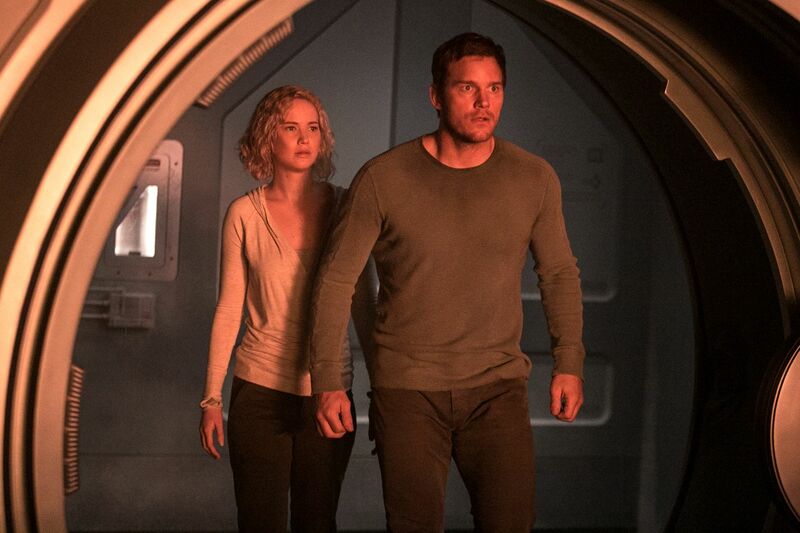 Pratt and Lawrence are both especially likable and natural stars, qualities that undoubtedly contribute to Passengers’ ability to often make you wonder, “What might I do in this situation?” Would you leave everything on Earth behind to journey to a new planet? If you woke up early, would you sacrifice someone else so that you could have some company? And what would you do aboard the Avalon for 90 years? Would you tinker with the tech like Jim or go for daily runs like Aurora? 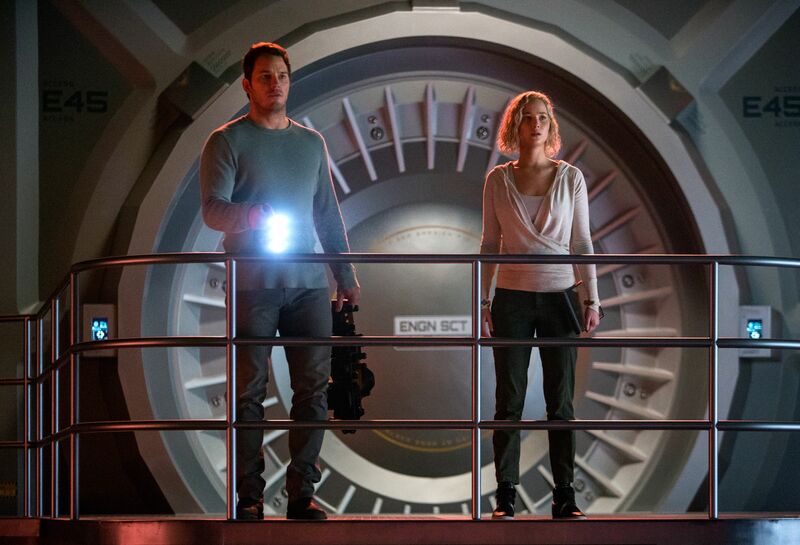 Passengers essentially takes two normal people and drops them on a futuristic cruise liner in space. Simply watching them build lives in that setting is exciting and interesting, and then if you add in the tension that results from Jim’s earlier decision, that’s really all you need. However, rather than keep the focus on Jim and Aurora’s romance within this setting, the filmmakers introduce a mystery of sorts, teasing a system error spreading throughout the Avalon. Perhaps that was intended to be a key part of the film since day one, but as presented in the final cut, that story element feels shoehorned in as a plot device meant to call for action-thriller footage. The resulting sequences are riveting, but only because you’ve come to like the characters from the preceding material. 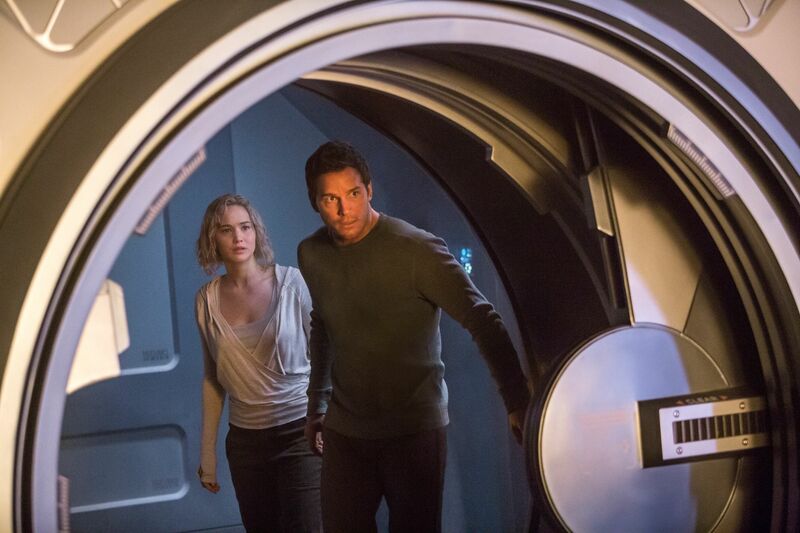 In fact, in the end, any success that comes from those more explosive moments winds up further highlighting the fact that Passengers would have been a far stronger film had it just been a sci-fi relationship drama. You could easily remove the “ship error” component and still get to the same exact ending. And had Jim and Aurora reached that same ending with a little more screen time to explore a particular discovery, Passengers could have been a far more powerful and satisfying movie. This is a significant story flaw that completely dashes any chance Passengers had of being an exceptional deep space romance, but it still has enough going for it to make a worthy, entertaining watch. Again, Pratt and Lawrence deliver huge, almost instantly inspiring you to root for them, and Michael Sheen makes for a delightful supporting character – the ship’s resident android bartender, Arthur. There’s also loads to be praised on the technical front, particularly the stunning visuals from cinematographer Rodrigo Prieto, and the score from Thomas Newman which adds a great deal to the atmosphere of the film. Tyldum had all the pieces necessary to deliver something engrossing and highly unique, and that makes it especially unfortunate that ill-fitting action detracts so significantly from the experience.